Not only are automobile shops going green by recycling old solvent and oil, but they are taking extra precautions to do so in the shop. Extra precautions are being taken such as using recycled paper and printer toner, sending bottles and cans to local county pick up sites, and sending old tires, batteries, and lead wheel weights to off-site recyclers. They are even sending out captured Freon from air conditioning repairs. Then are going green from every angle they can think of on the job. Here's another green advice that can also help you save dollars. Try to order things in bulk, because by trying this you will reduce the usage of packing materials. However there are tons of other green ideas that you can implement and please remember there's no such thins as going too green. 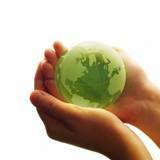 As a matter of fact, it's never too early to go green and always remember recycle is the key to a greener world. Find Out More About "Hybrid Cars: The Different Prices of These Technologically Advanced Cars"